Sometimes you are lucky enough to eat in a restaurant that is so good that you just want to let the world know! That’s what happened at the weekend in Madrid. Vegetarians should look away now!! Sometimes I miss Argentina terribly despite not having lived there for many years. 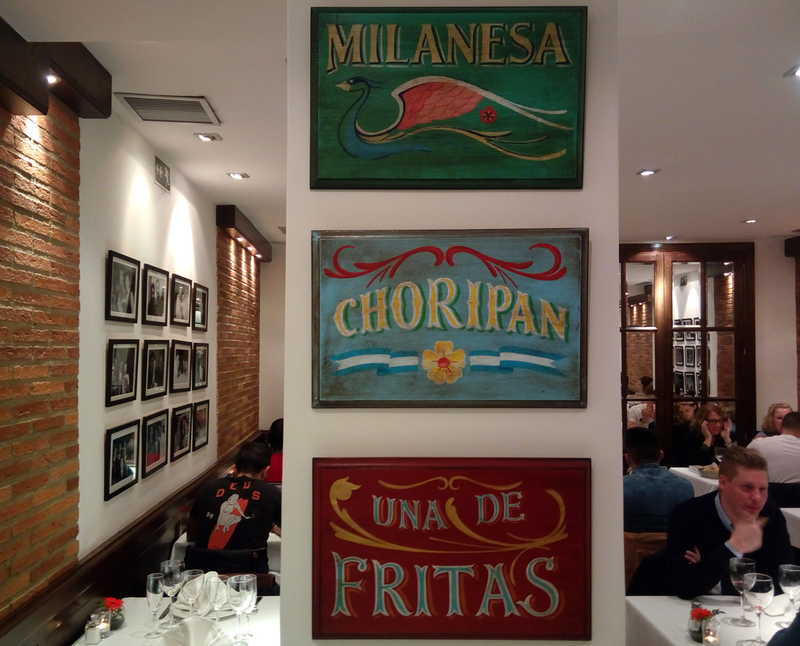 The Parrilla El Gaucho certainly had me longing for a return to South America and there were many reminders of why I found the country so enchanting – Mafalda, Maradonna and Ricardo Darin! 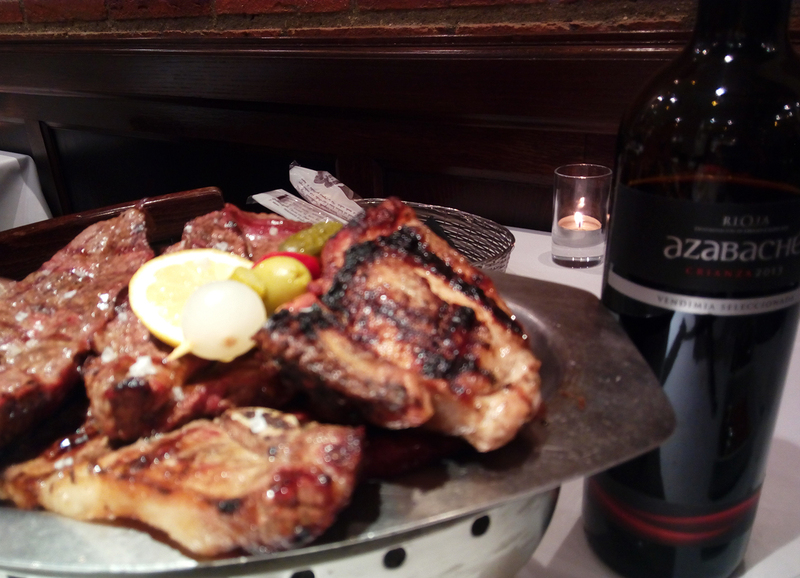 Think of the food in Argentina and 99% of people will probably say steak. Whilst steaks from that part of the world are to die for, a bit more variety of meat can be had in a parrillada. 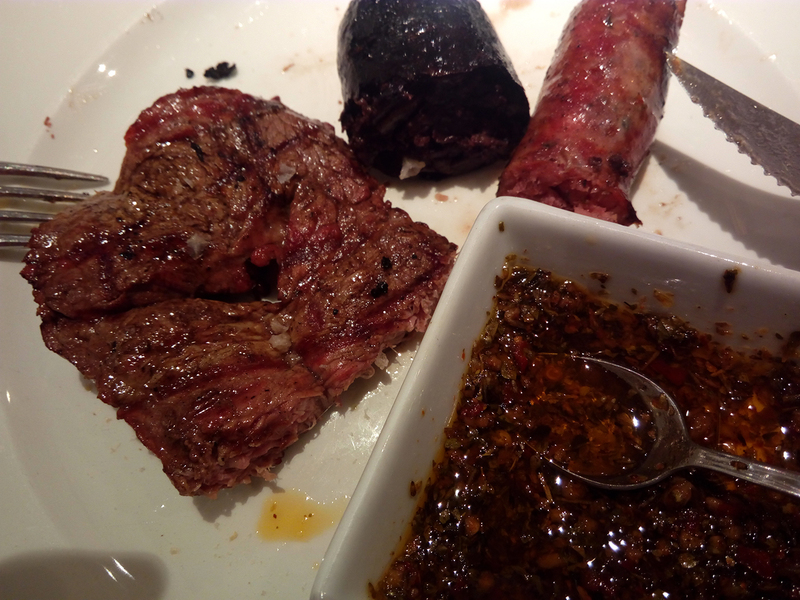 This is like a small barbecue brought to your table topped with beef, chicken, sausages and morcilla, Argentina’s version of blood sausage. It took some time to get through it, but there wasn’t a scrap left by the time we had finished, and it was all for just €16.10 per person. The wine was amazing too and, despite being a Rioja, it reminded us so much of the typical Argentinian Malbec we used to love so much. A complementary chocolate mousse was served afterwards too, which was delightful! No parrillada would be complete without the special chimichurri sauce which goes so well with any type of meat! 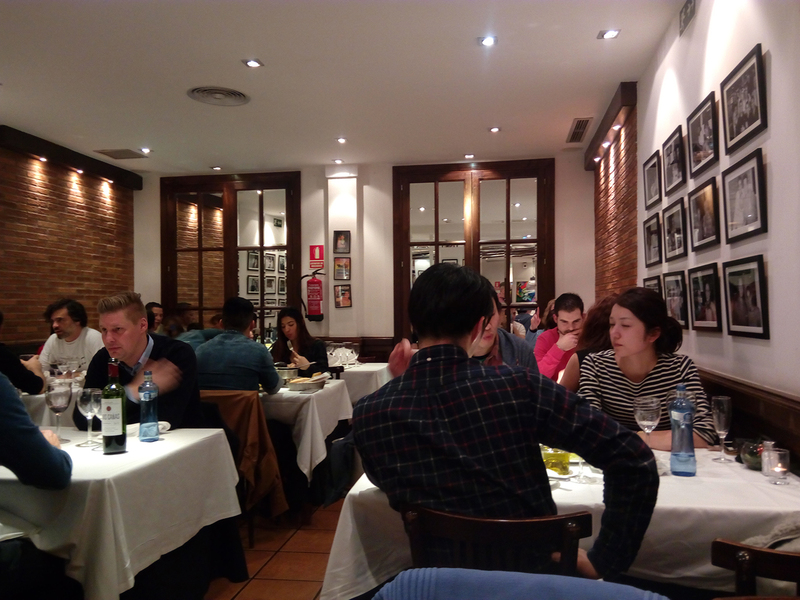 So, next time in Madrid, I know where I will be heading to. Maybe I’ll see you in there! !